PASADENA, Calif. (WPVI) -- A $20 investment in a scratcher ticket at a southern California liquor store paid off big for one man who claimed the top prize of $5 million. 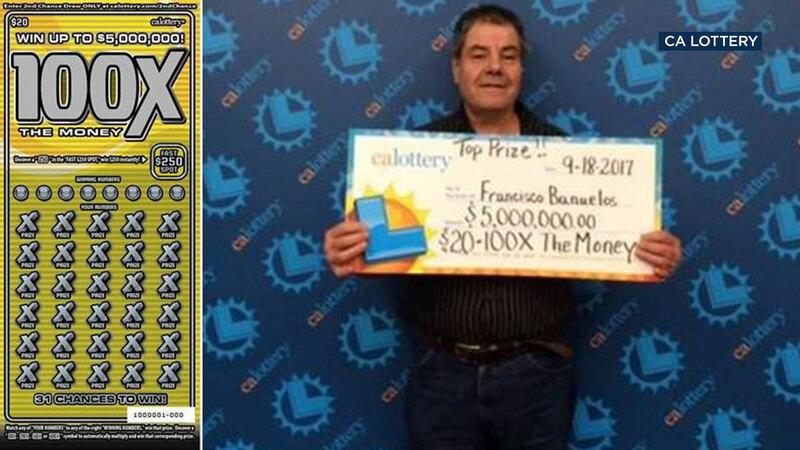 KABC_TV reports, the winner, 58-year-old Francisco Banuelos, says he plans to keep working. But he will buy a house and then invest some of his winnings.